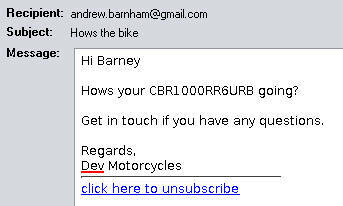 To send a bulk email/sms to everyone. 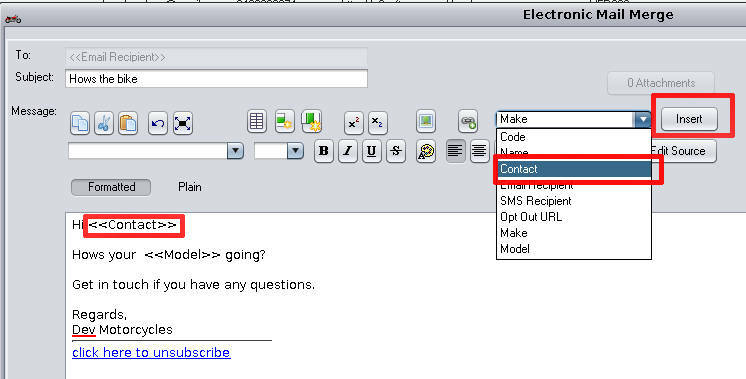 Miner email requires that you configure your c9 to use your own mail server. C9 mail server will not send miner emails, again for anti-SPAM reasons. SMS messages can be expensive if you use them to message everyone. C9 allows you to send messages to just a subset of customers, i.e. all customers that own a GSXR-750. Look at 'Load standard query' option in miner for some prepared miner recipes for this sort of thing. For SMS make sure you include the name of the business in the message body so people know who the SMS is from. Unlike normal notification SMS messages, bulk SMS is sent from an internal 04 number to allow people to reply to opt out so it will not be obvious to recipients of the SMS who the message is from. Make sure you make it clear in the message text who is sending the message. 6) Key in your message. Don't forget message. Recommend leave unsubscribe feature at bottom of email. 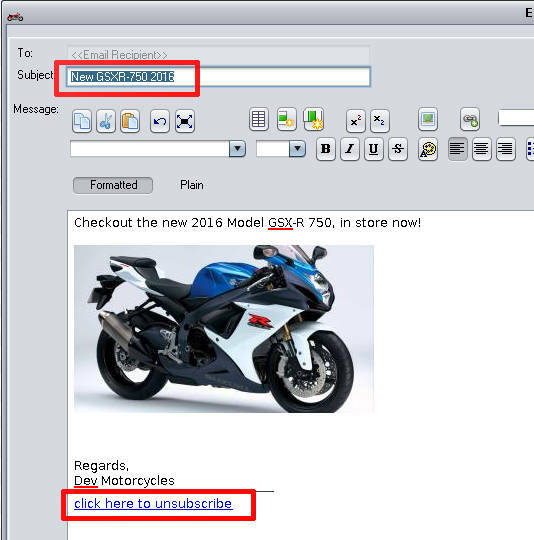 There are some powerful options for personalising your messaage.